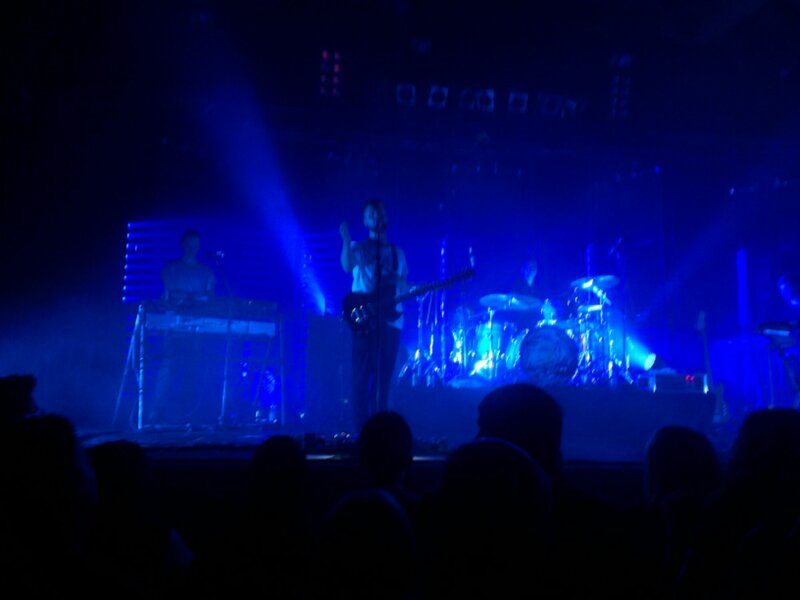 Review: White Lies & In The Valley Below Live in Cologne, Nov. 9, 2013 - GENRE IS DEAD! 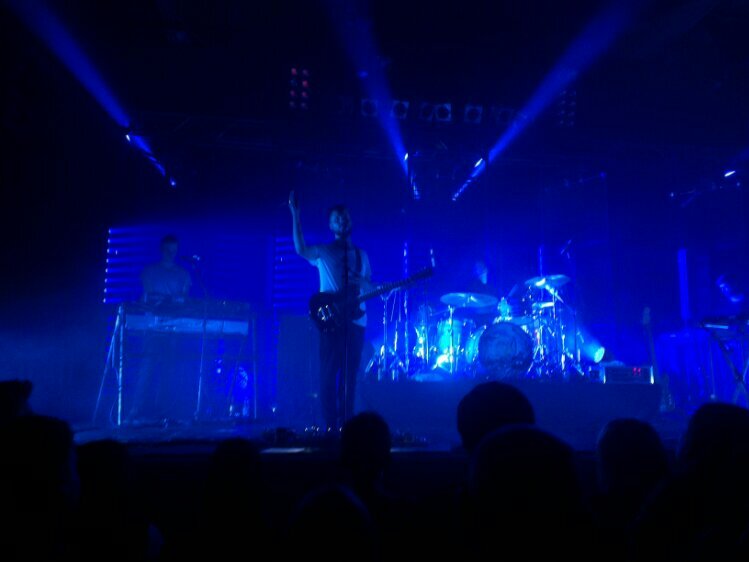 Yesterday, I had the great pleasure to see the White Lies and their support act In the Valley Below live in Cologne for their Big TV Tour. My friend Levi and I met at the main station in Cologne and went to the venue “Live Music Hall” from there. We were a bit confused about where the venue was located, but gladly Google Maps helped us out in finding the right direction. When we arrived at the LMH, we joked around about the fans there, cause the line was very long, but everyone was totally silent. It was a bit eerie. Admission was fast and fluent, and when we entered the hall we realized why: the show wasn’t even close to sold out. 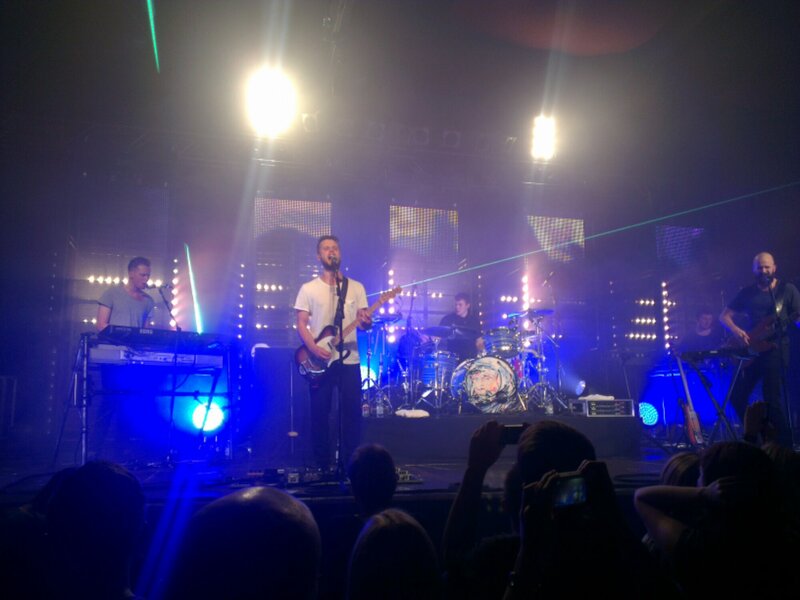 It is strange that a band, that is as successful in the UK as the White Lies, is still so unknown in Germany. 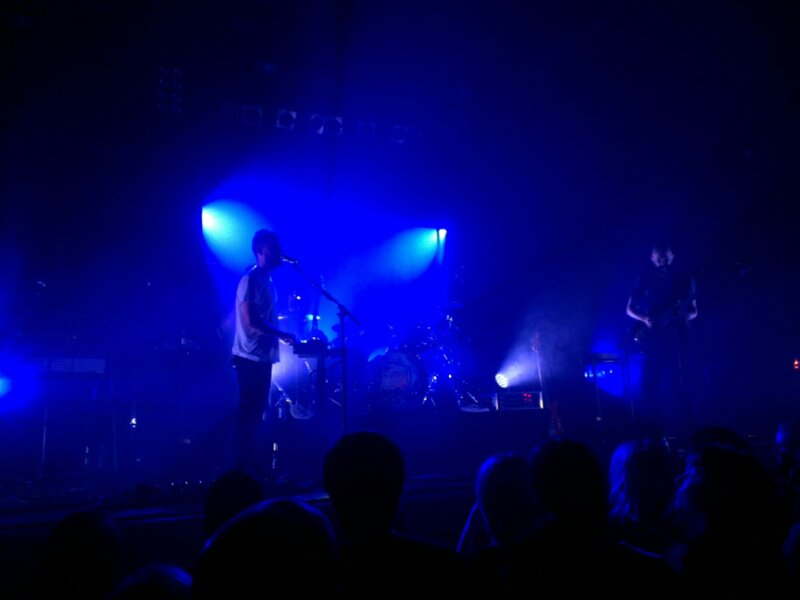 Musically, they were extremely good! Their vocals were flawless and I really like their songs a lot. The only negative thing were the theatralics of singer Angela Gail. 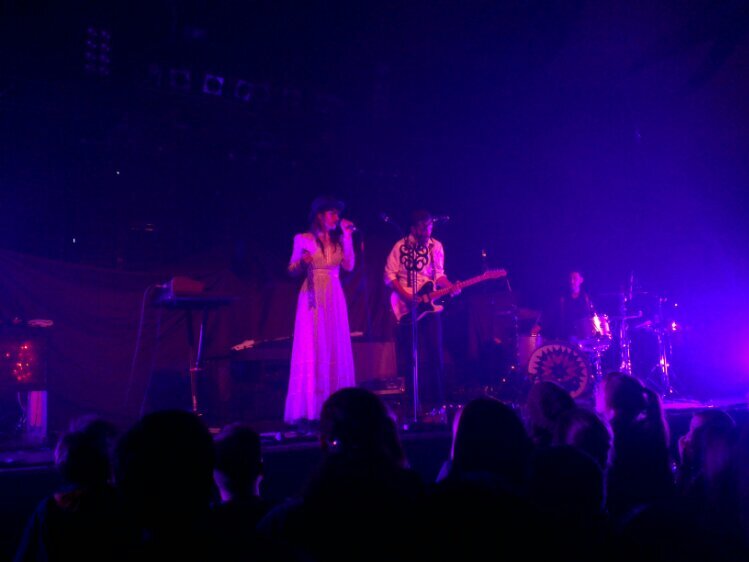 Both, Levi and I, felt a close similarity to Florence Welsh, but while Florence is always authentic with her antics, Angela was a little over the top with it. 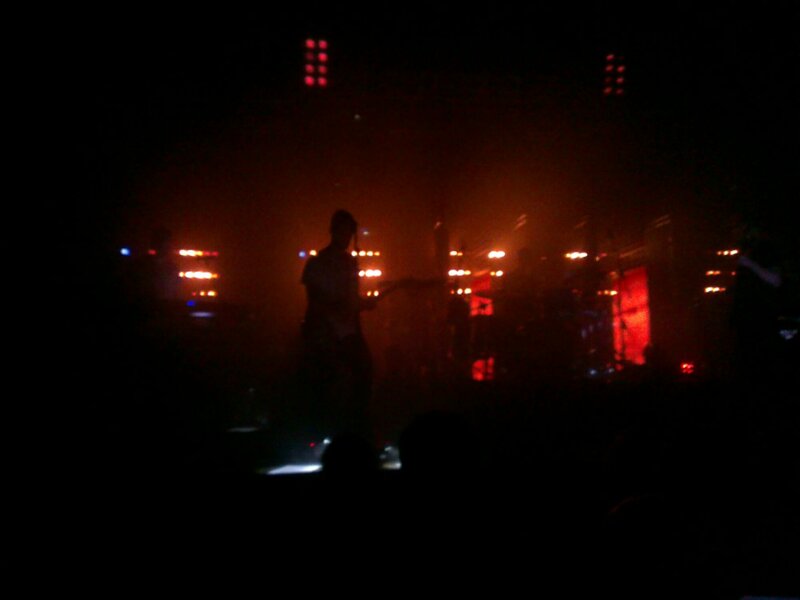 Really great was the use of a big chain during “Searching for a devil”! I love when artists use unusual items as instruments. It gave the song an eerie feel. 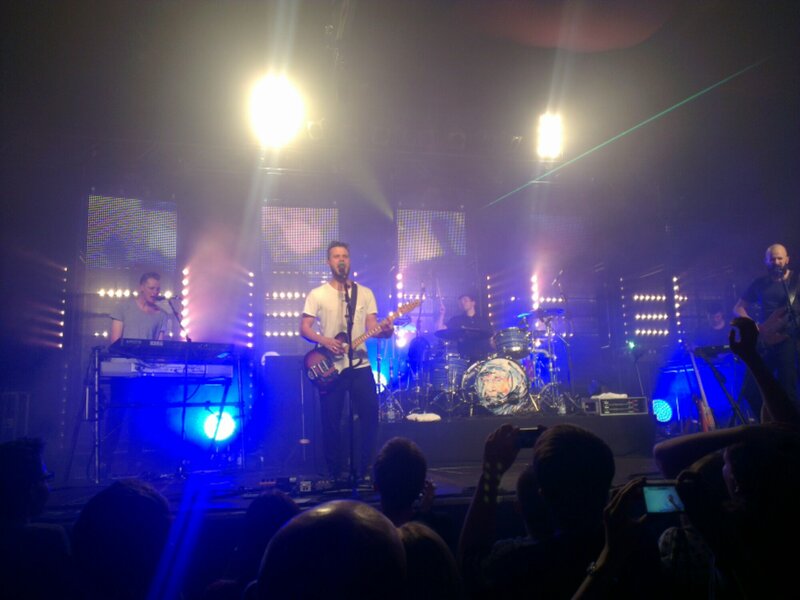 At 8.30pm, the White Lies finally came on stage. 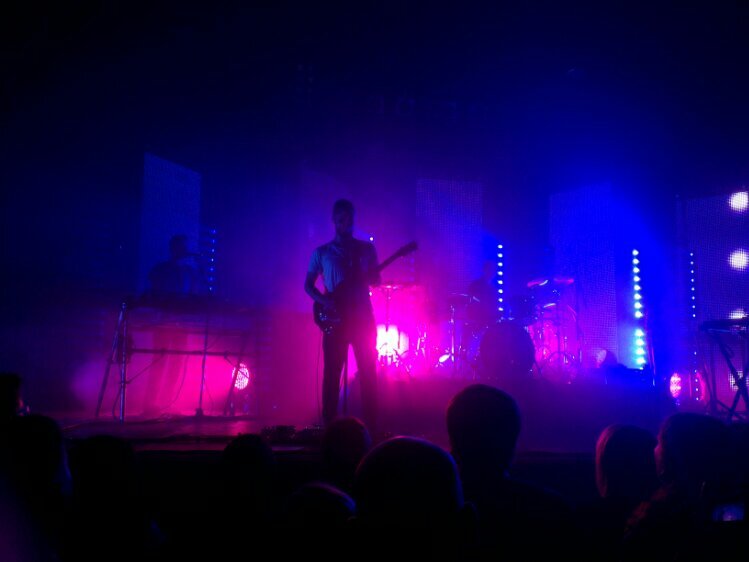 They opened with “To Lose my Life” which was a little surprising, because they had opened their set with “Getting Even” during the US-Tour. 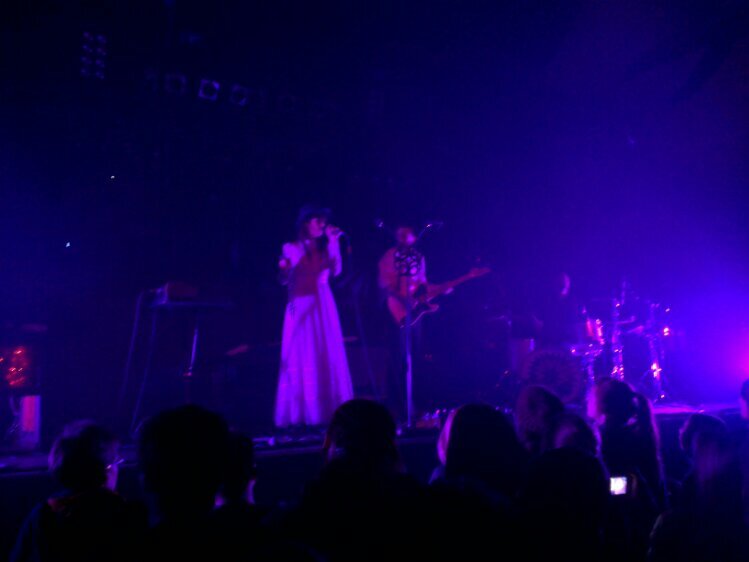 It was a nice change though, cause “To Lose my Life” is a great song to start a show. 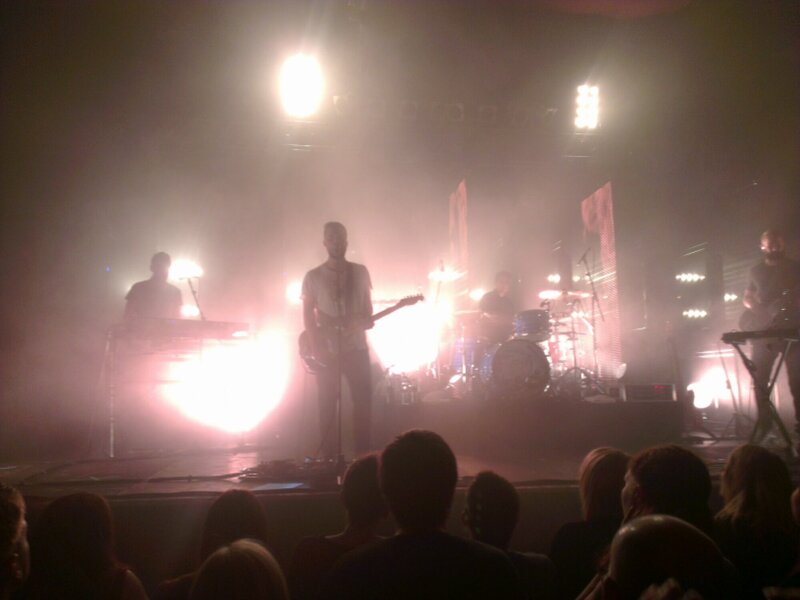 The White Lies were fantastic. Harry McVeigh has a great way to perform the songs, not only singing them, but really telling their stories. It was a great pleasure to watch him (yes, he’s also extremely handsome, but I’m really just talking about the music here). I also loved his stage banter. He talked a lot with the crowd, which made the band really likeable and formed a connection. 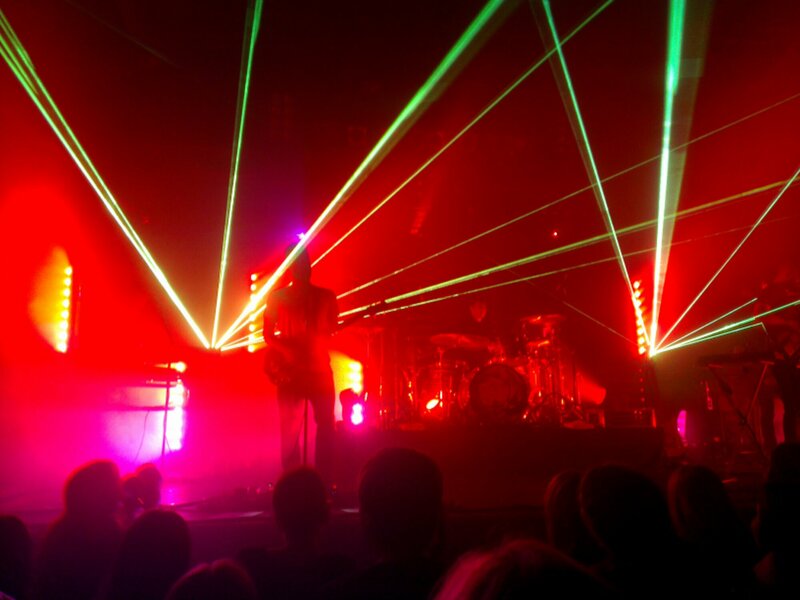 Also, kudos to the light engineers. 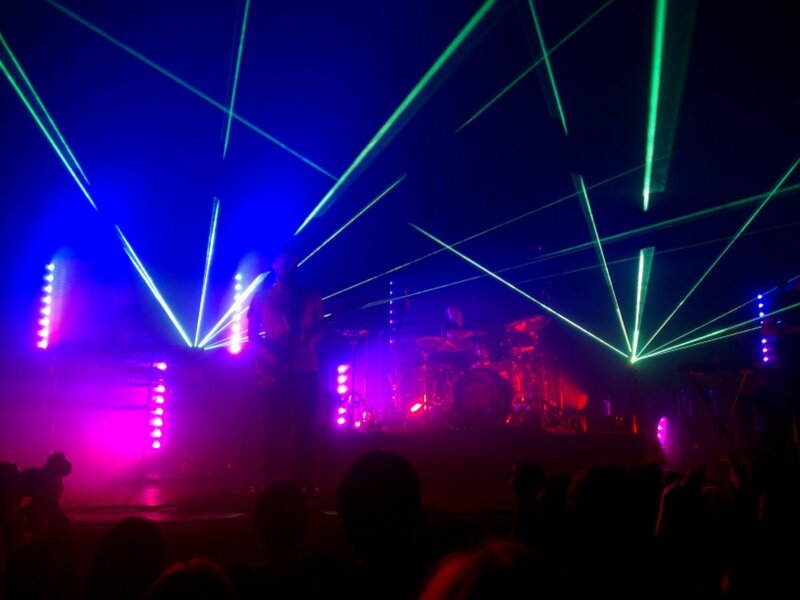 Their light show was incredible. 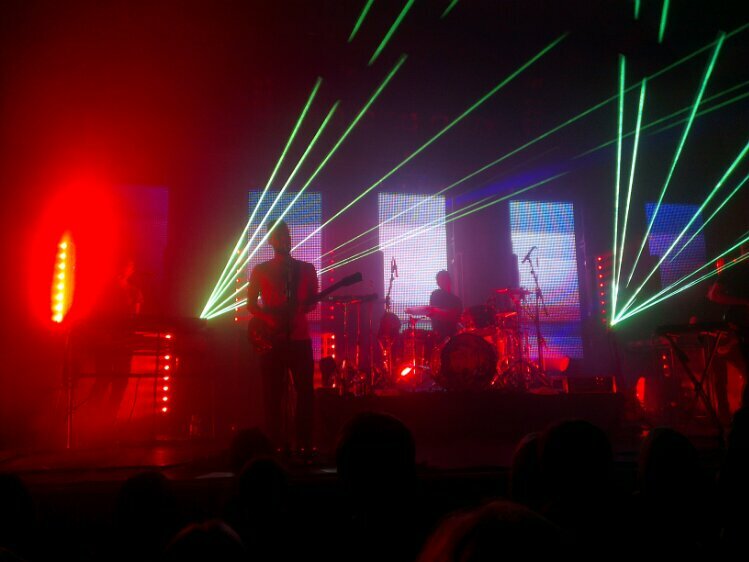 They had strobe lights and monitors, that supported the songs visually. Overall a great performance. I was just a bit disappointed by the lack of energy from the crowd. They were very reserved considering they were at a top band’s concert. 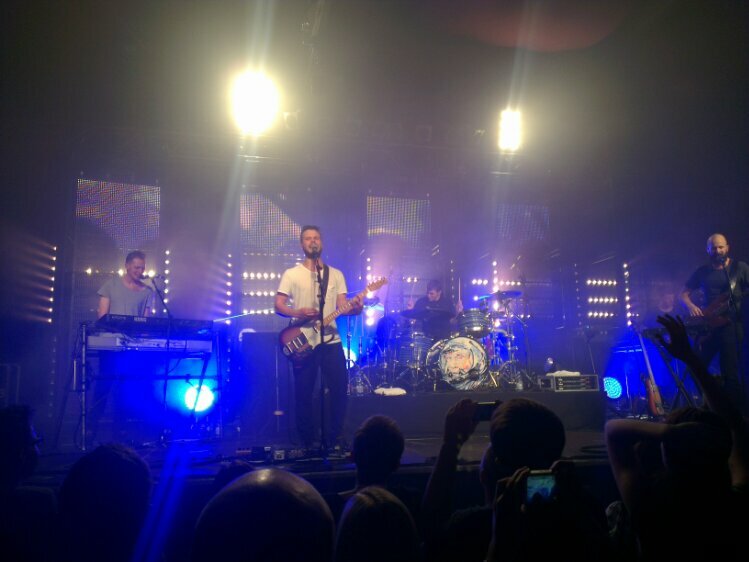 I’ve added the White Lies now to my “Must-always-see-when-touring-Germany”-list!